If you're one of the many homeowners in Perth who absolutely adore stepping out their front door each day into a lovely little garden with lush foliage, fragrant blooming flowers and stately trees, then you will know the level of care and work needed to keep your outdoor space healthy and looking vibrant at all times. Plants, just like humans, are living things that thrive when proper care and nutrition are observed; from an early age, people are taught to look after a plant by giving it enough water, placing it in a spot where it is sure to get the right amount of sunlight that it needs, and providing ample protection from weeds or small wildlife that may cause damage to it. A crucial component of caring for plants that some homeowners may overlook, though, is trimming or pruning specific areas of growth. Many will think that allowing a tree, for example, to grow undisturbed is the best thing to do and that cutting or pruning certain parts of a plant will harm it, but on the contrary, proper tree pruning can promote enhanced growth, remove dead branches, regulate its size and shape, maintain its safe condition, and even improve the quality of its fruits and flowers. 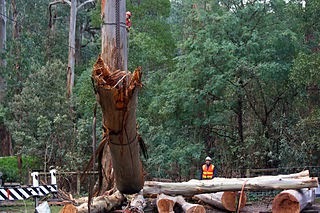 Tree lopping, Perth homeowners must know, refers to the removal of large tree side branches, done by making vertical cuts. Often, lopping means cutting tree branches to stubs or lateral branches which are not large or developed enough to assume the terminal role, and the most common reason for performing this type of tree work is to reduce the size of the tree. Homeowners may feel that a tree is becoming too large for their property, or that it may start posing a hazard for both the residents and the neighbours. Through lopping, between 50 and 100 percent of the leaf-bearing crown of a tree can be removed. Ideally, pruning cuts in trees should be made just beyond the branch collar, at the point of attachment of the said branch. Such a "wound" can be effectively closed by the tree's biological functions. It's important for arborists or tree specialists to ensure that such pruning cuts should only be made in a size that's not too large, on a tree that is found to be healthy. Otherwise, a tree will not be able to close the wound and the exposed tissue will become infected and begin to decay. Another way of properly reducing a tree's branches (according to the Australian Standard AS 4373-2007: Pruning of Amenity Trees) is to cut back to a lateral large enough to assume the terminal role, or to a lateral that is at least one-third the diameter of the limb being removed. Ideally, this practice will ensure homeowners that the natural form of the tree will be retained. Author: Sarah Miller is a business consultant by profession and a content creator, writer and blogger by passion. Having been exposed to the different aspects and faces of businesses and other home improvement ideas, she frequently does research on useful information about business and home improvement and shares her passion through blog/content writing.http://www.martelletticontracting.com.au/ is one of her resources.